When, at our Future Playshop, the participant randomly connected five (random) bricks, she just built the first thing that came to mind. 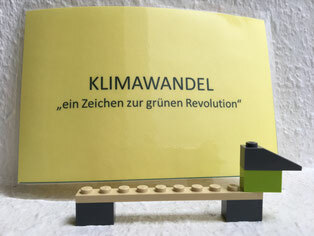 It's only when she received the theme-card 'CLIMATE CHANGE: a sign of the green revolution' that she quickly had to give her Lego-Model a meaning and explain it. Within seconds the 'Climate Change Dachshund' was born! "The Lego® Serious Play® methodology allows you to visualize theoretical considerations in an amazingly good way and thus somehow make them real. And suddenly there is a colorful prototype for your idea! It's a lot of fun and inspires me to do more! ", said Ira after the Workshop. 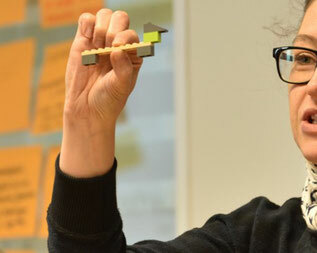 Lego® Serious Play® (LSP), a methodology that awakens all our creative potential! Just give it a try and you'll be amazed!